If you’re asking yourself whether or not content marketing actually works—that’s good. It means you’re considering a content marketing strategy, which is a great thing. Before you move ahead and invest any time and/or money into this endeavor, however, you probably want to know whether or not it actually works. Most people, when first hearing about content marketing, think it sounds like a trick. How can writing blog posts and sharing them on social media bring you more page visitors and actually convert those page visitors into customers, clients, or patients? Here’s everything you need to know about content marketing and whether or not it actually works. At its most basic level, content marketing is using content to drive people to your website. You create the content and distribute the content, and the theory is that if the content is relevant and interesting enough, people will read it, find your webpage, and become a customer, client, or patient. The theory also states that if it is relevant and interesting enough, those people will share your content on their own, giving you free publicity. If the right person shares your content, boom—you’re viral and that means your business will see an influx of new customers. Content marketing’s goal is to reach out to the consumers who are looking for a business like yours or for information that you know and could write about. It should build a rapport between reader and business, so that once the reader has read your post, watched your video, or seen your infographic, they understand what they did not understand previously and can credit you with giving them that information. They will then see you as an authority on the industry or niche, which can keep them returning to your website whenever they need information on something you have and will make them more likely to share you with their friends. 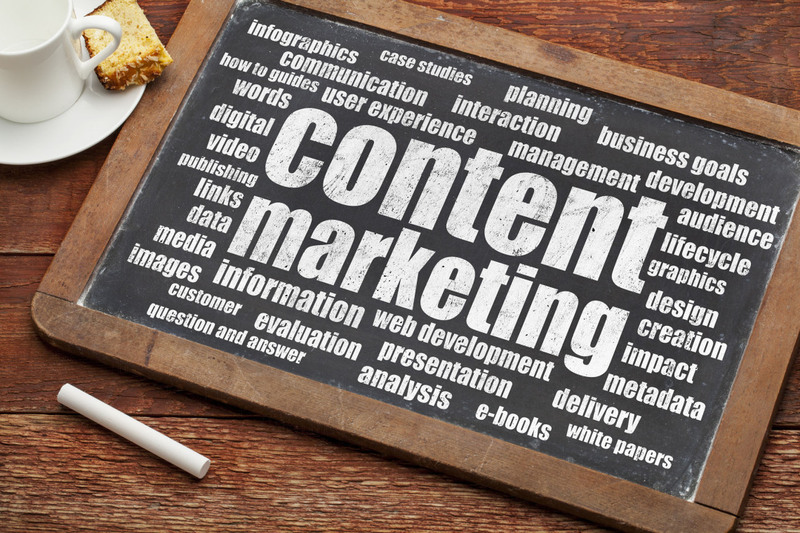 The key to content marketing is making valuable content. If the content is valuable, then you might as well not write it. Google’s getting pretty good at determining whether or not something is worth its searcher’s time. It depends on how much time, effort, and money you are willing to put into it. Most content marketing strategies fail because the business does not put the time or effort into the content that it necessitates. The content isn’t up to par, the distribution channels aren’t utilized properly, or you’re not writing about topics that your audience actually finds relevant. There are plenty of reasons why content marketing doesn’t work. But what are some of the reasons that it does work? 1. Makes you look like an authority. Even if you never Tweet a single character about the new blog post you have just published, your blog can help you seem authoritative. Because your blog will be full of interesting, helpful content that proves you know what you’re talking about. On the off chance that anyone does find it, you will instantly appear more legitimate. Even if you hire a ghostwriter to take over your blog, the posts will still prove that you have a personality and a distinct voice. People still prefer to do business with other people, not with big, faceless, nameless corporations. A blog gives you a voice, a name, and a face. 3. It gives you something to be social about. If you’re running low on social media posts, you can always send your followers back to your blog, which will then send them back to your website. It’s a great formula that actually works. When content marketing fails, it usually isn’t content marketing’s fault. It’s usually the business’s fault for not giving it the attention it deserves. A recent Forbes article claimed that content marketing is a big hoax, but studies have shown that businesses that are actually dedicated to their content marketing strategies, publish regularly, and advertise through the right channels, see massive gains in profits, even if that is their only real marketing strategy. Like a child, how well it turns out depends largely on how much attention you give it. Sometimes, you hit the jackpot on your first try and the first piece of content you create goes viral and makes you a fixture in your industry’s online community. However, sometimes it takes years before your posts really start to see the attention you think they deserve. That’s usually how the internet works—its whims are random. All you can is keep moving forward. If you’re not working with an online management company, you probably should be. Not only can they take over the writing and updating of your blog (whether they do this themselves or contract a freelancer to do it), they will also be able to show you the tangible results of your content marketing efforts. There’s only so much content marketing you can do before you won’t be sure whether or not its’ working and you’ll have to either stop or figure out a way to measure it. If you’re seeing increased traffic and that traffic is finding the content you’ve created and then moving on to your website to make a purchase or sign up or perform some other kind of conversion, you are likely conducting a successful campaign. However, if you’re not seeing the numbers you want to see, you probably need to look at your campaign, identify its weaknesses and make real changes to it.